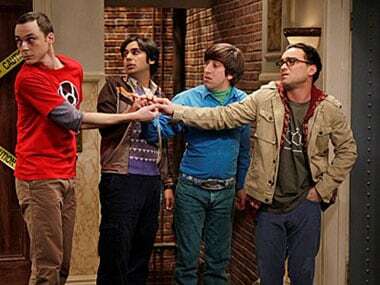 After 12 seasons, The Big Bang Theory will be going off-air after the final season premieres on 24 September. The official announcement came to fans in the form of a tweet from the makers of the show. According to a report published by EW, this decision was taken as Jim Parsons, who portrays the character of Dr Sheldon Cooper, decided to quit the show. He was earning nearly $1 million per episode and CBS even tried negotiating a contract where he along with Kaley Cuoco, Johnny Galecki, Kunal Nayyar, and Simon Helberg could make more than $50 million including profits if he agreed to work on the sitcom created by Chuck Lorre and Bill Prady for two more years. However, Jim had made up his mind to exit the project which earned him four Emmy awards for his performance as the Lead Actor in a Comedy category and Golden Globe for Best Actor in a Television Comedy Series in 2011. From left to right: Jim Parsons, Kunal Nayyar, Simon Helberg, Johnny Galecki. YouTube screenshot. The Big Bang Theory debuted in 2007 and by the end of the final season, the team of Leonard Hofstadter, Sheldon Cooper, Penny, Howard Wolowitz and Raj Koothrappali will have 279 episodes to their name, marking the end of the longest-running multi-camera series in TV history.